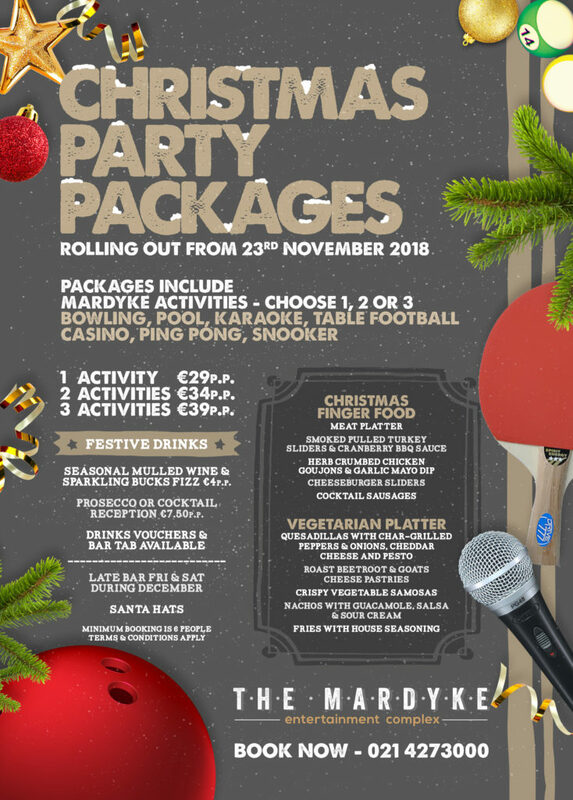 Organise Your Perfect Christmas Party with Mardyke! If you’re looking for an action-packed Christmas party experience, Mardyke has it all. Choose from activities such as bowling, pool and karaoke, as well as our selection of platters and finger food to suit everyone’s taste. If you book your party for a Sunday, Monday, Tuesday or Wednesday, you will get 30% off your package price. Call us today on 021-427-3000 to book your perfect Christmas party here at the Mardyke.